See more objects with the tag interior, rounded, dining, seating, straight, cubes. This is a Armchair. It was designed by Charles Rennie Mackintosh and made by Francis Smith & Son. It is dated 1897 and we acquired it in 1994. Its medium is oak. It is a part of the Product Design and Decorative Arts department. 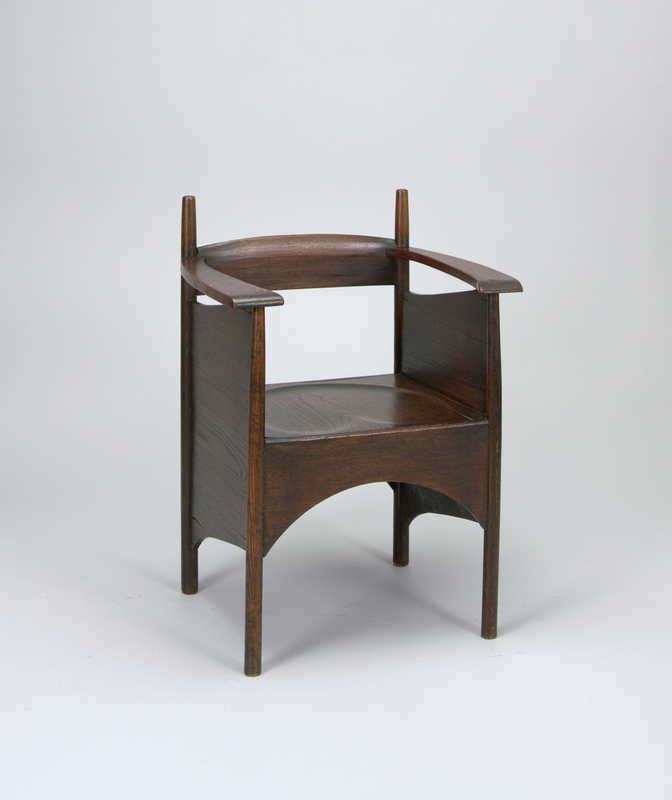 This chair represents the design principles of its designer, Charles Rennie Mackintosh, which include clarity of form and simple architectural construction. Reacting against the tradition of handcraftsmanship promoted by design firms such as Morris & Co., Mackintosh stressed design over materials and technique. The Argyle Street Tea Rooms were among a series of important commissions undertaken by Mackintosh for Miss Catherine Cranston, who was his most consistent patron. 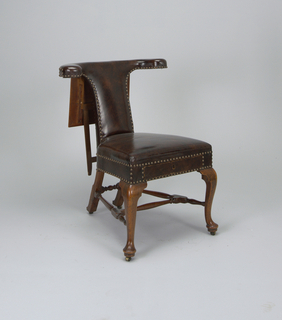 This object was featured in our Object of the Day series in a post titled Reforming Play time -a Chair for Men. 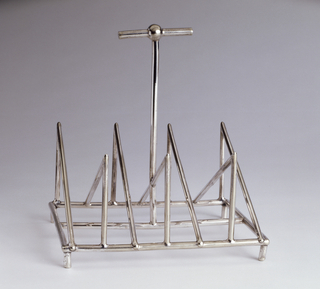 This object was donated by David Byrne and Adelle Lutz. It is credited Gift of David Byrne and Adelle Lutz.